Loving Vincent is the upcoming biographical animated film from newcomer directors Dorota Kobiela and Hugh Welchman about Vincent van Gogh's final days and the attempt by an acquaintance of his son (played by Douglas Booth) to unravel the mysterious circumstances surrounding his death. A film unlike any other, it is entirely hand painted – each of the movie’s 65,000 frames is an oil painting on a canvas created using the same techniques as Vincent van Gogh. Good Deed Entertainment is releasing the film on September 22nd in New York before expanding to Los Angeles on September 29th and nationally on October 6th. In addition to being a wonder for the eyes, Loving Vincent is a treat for the ears. The score is composed by acclaimed composer Clint Mansell (Pi, Requiem For A Dream, Black Swan, Moon, High Rise). Somber yet driven, Mansell’s compositions are filled with the swell of mournful strings pocked with delicate, deliberate notes in countermelodies. A perfect companion to the story of dreadful loss and resigned understanding, Mansell captures a thematic match with music that both enriches the viewing experience yet stands on its own as well. Milan Records will be releasing the soundtrack digitally on September 22nd and on CD September 29th. The soundtrack will also include the track "Starry Starry Night" featured in the end credits, produced by Mansell and performed by Lianne La Havas (Warner Bros). In addition to CD and digital releases, Loving Vincent will also be made available on vinyl with packaging designed by director Dorota Kobiela. The LP is pressed on a single 180g color vinyl featuring the entirety of Clint Mansell’s score housed in a striking dress jacket with interior sleeve featuring liner notes from Clint. 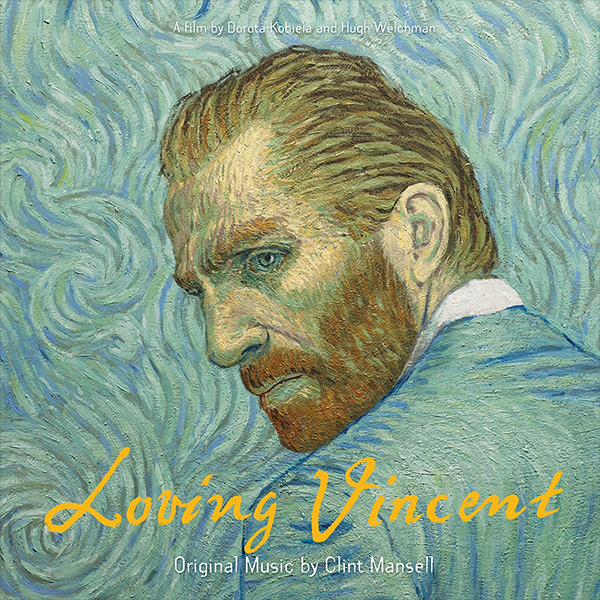 With audio mastered specifically for the vinyl format and a presentation that is unparalleled, “Loving Vincent” will be a must-own for music aficionados. The vinyl release date is October 13th, 2017.